This creative design keeps the wet side of the umbrella inside and the outside being dry, it will never soak your floor or seat. 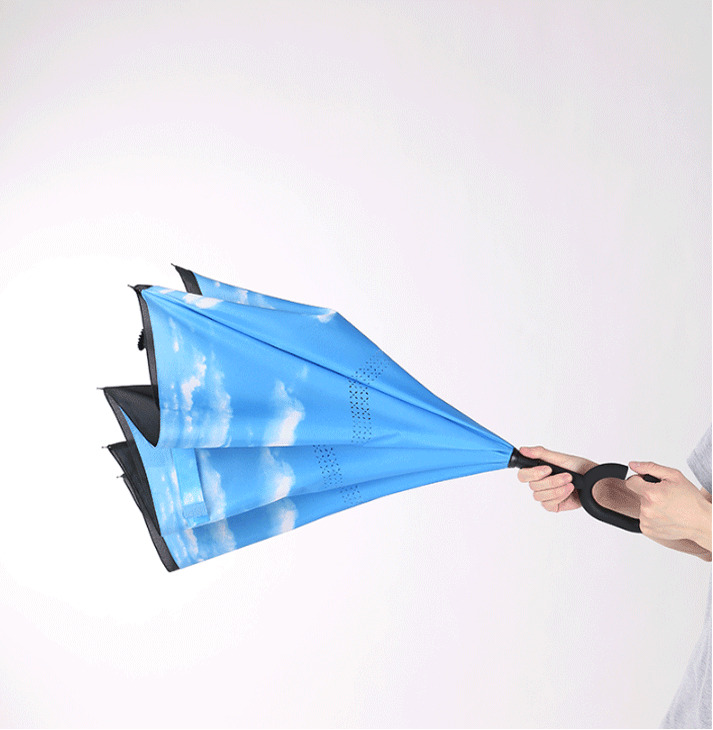 This allows wind to pass through canopy and reduces the high tension of gale, to ensure your umbrella solid and durable. Self Standing when closed, but not held tight by the velcro close strap. No need to keep the umbrella open to drip dry when bring it inside after using. It will take less space in a hallway or foyer. The frame is constructed using hardened stainless steel coated in high-quality black resin, use high-quality fiberglass for the tips and ribs. Multi stylish patterns for your choice. TOOGE car reverse umbrella is perfect for your car.